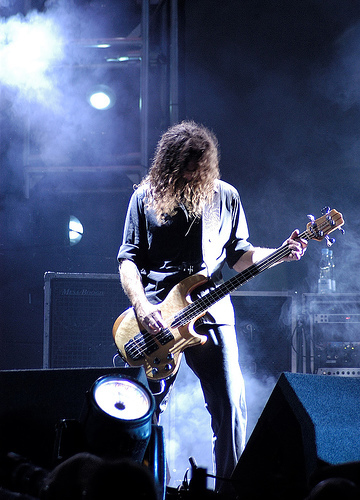 Should A Christian Listen To Heavy Metal Music? I’ve started up a Formspring site. Formspring is a place where people can ask you questions anonymously and you put the answers up on your page. I’m keen to see if it would be useful for ministry purposes. If you’d like to help me out with my experiment, head on over and ask me your Pop Culture Christ related questions. I had a good question about heavy metal music go up today that I thought I might share with you here. What do you do after Easter? Jesus has risen from the dead. Now what? I gave this sermon at St Luke’s Liverpool the week after Easter. Matthew 28 is often used to tell people to go out and evangelise. Which is good and true. But there’s so much more going on in this passage. Apparently you can put a price on a soul. Or two. A woman recently sold two captured souls for almost $2,000. I struggle with the fact that 1) the woman thought that she had captured souls and 2) that someone paid her money for them. It’s a good thing that she can’t take my soul. It’s owned by someone else. One of the great privileges of going on Moore College Mission is preaching to a group of people you’ve only just met. This year on mission I preached to the morning congregation at Wee Waa Anglican Church. My topic was the Resurrection. I love youth ministry. I’ve devoted a huge part of my life to teaching the Bible to teenagers. People who minister to youth tend to be a different breed than other ministers. And of course there are certain stereotypes. While I’m a big fan of going against type and encouraging older, more mature Christians to work in youth ministry, sometimes the stereotypes are just plain fun. Stuff Christians Like is a site I link to a fair bit. That’s because it makes me laugh. Here’s something that makes me laugh greatly – The Youth Minister Scorecard. As I go through the list, I know these people. I’ve either experienced these things or know someone who has. What about you, fellow youth ministers? What did you score? When I was in Europe a few months ago, I kept my eye out for comic books. Not that I could read any because none of them were in English. I did manage to pick up a copy of a Tin Tin book in French though. You know, just because. As I browsed through the bookstore shelves in a number of different countries, I kept seeing the same book over and over again. It was pretty hard to miss with it’s bright yellow cover. 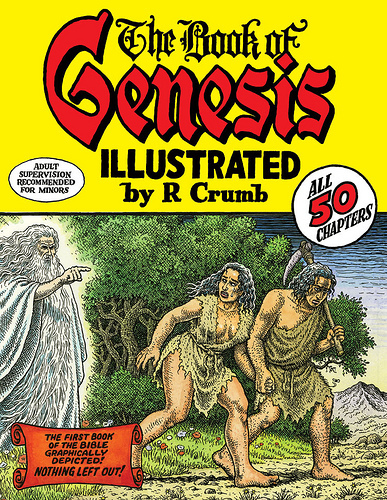 The Book of Genesis by Robert Crumb. All 50 chapters of the first book of the Bible, illustrated and with nothing left out. I had bought my copy just before leaving Sydney, but I wasn’t going to lug around an oversized hardcover comic book whilst being an overseas tourist. Seeing all those copies all over the continent showed me that this was a book that was going to be worth talking about. When you base a series of games around hunting down and killing gods of legend, you’re bound to end up here. The new atheists might be up for such a game but I really don’t see the main player lasting long. Penny Arcade is one of the big boys of webcomics. If you want to know what’s going on with video games, Penny Arcade is the site to check out. Just keep an eye out for the swearing and violence. They go there a lot.